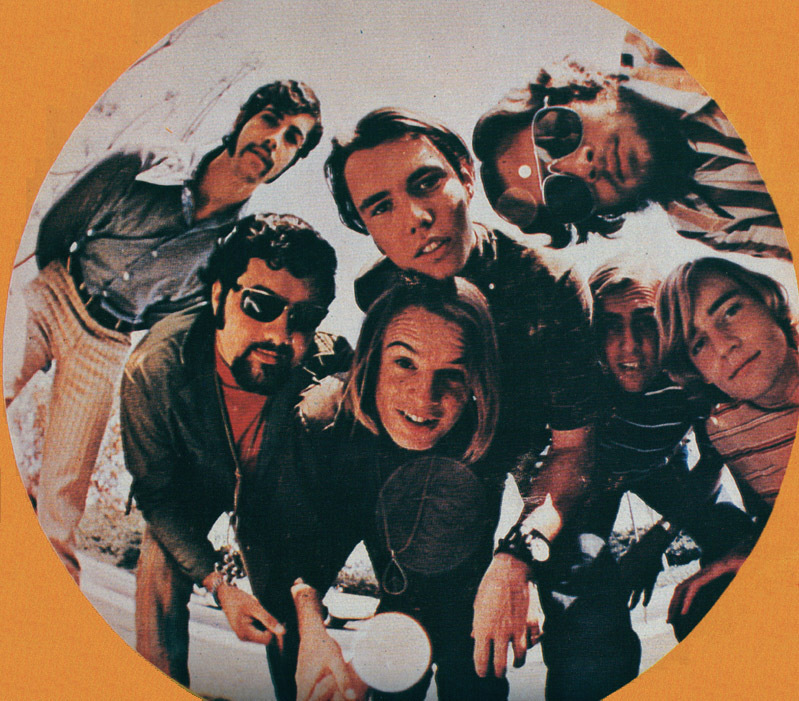 They started off as Sunlights Seven and recorded an LP entitled Sunstroke in 1968. This recording never got beyond the acetate stage by DCT Recorders and is a monster, monster rarity that has not been reissued. The picture of it below, taken from the book 1001 Record Collector Dreams, shows that at least 5 songs were recorded, 2 of which did not show up on their eventual LP for Windi Records. These are Sevens Theme and Judy In Disguise. 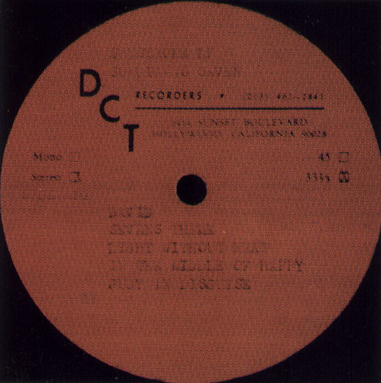 The other 3 songs shown in the picture, David, Light Without Heat and In The Middle Of Happy were released on their eventual LP, but probably as re-recorded versions. 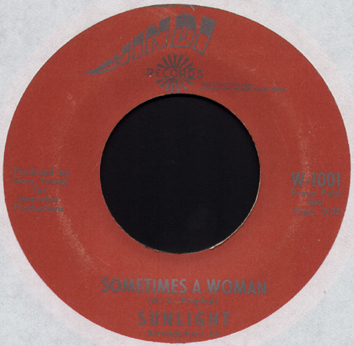 After the Sunstroke project was scrapped, the band hooked up with Windi Records and recorded a 7" under the name of Sunlight. 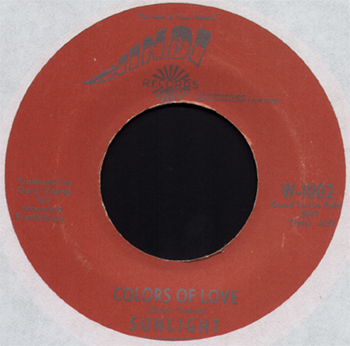 This 7" consisted of Colors Of Love and Sometimes A Woman and was released under catalogue number W-1001 and W-1002. The versions of these songs are different than the ones that appeard on their LP. It is possible that these versions appeared on the flip side of the Sunstroke acetate. I have read that a non-LP 45 was released by Sunlights Seven, but have never heard or read anything else about that release so I suspect that this may be the item in question. 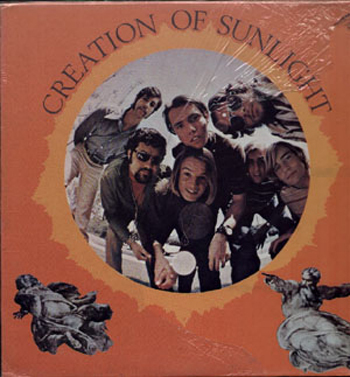 Finally settling on the name Creation Of Sunlight, they continued recording for Windi, finally releasing their self-titled LP and one 7" later in 1968. 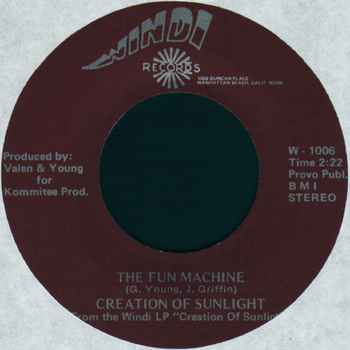 The 7" contained LP versions of David and The Fun Machine on Windi W-1005 and W-1006. It appears that a box of these 7"s were found somewhat recently. Search good record sites on the net (eBay, GEMM, Music Stack) and you will find new ones are available for about $25-50. 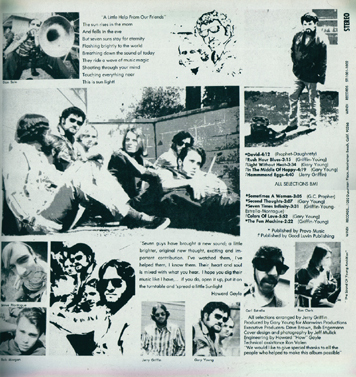 Their self-titled album on Windi WS-1001 contains 10 songs, 8 of which are original compositions with Gary Young and Jerry Griffin doing most of the songwriting duties. 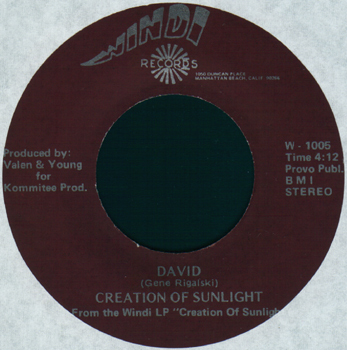 Interestingly, the credits for David, which was not written by the band, differ on the 7" and the LP. The entire album is absolutely great, loaded with organ and fuzz guitar just oozing with that acid and sunshine vibe. Original copies of this LP almost never turn up for sale and when they do, expect a really nice copy to reach four figures. This is one of the (too) few rarities that can musically justify their price tag. The only vinyl reissue has been a European bootleg on the "Windi" label. This is a nice sounding and nice looking job and it too seldom comes up for sale. A legitimate CD reissue on Mystic 7 has been released and is easily available. I have no idea what happened to the band after the release of their album. Presumably they either didn't sell enough copies and were dropped by Windi, or they broke up, or both. Thanks to John E. Midnight for additional info. Visit his site - Dig Baby, Dig.